Enjoy the rich performing arts scene in the Mansfield area. Buy tickets for individual shows or season passes for the true theatre buff. See plays and musicals performed at the Mansfield Playhouse and the OSU at Mansfield Theatre. Enjoy a season of diverse acts, from music and drama, to dance and live comedy at the Renaissance Theatre. Follow the professional recitals of the Mansfield Symphony Orchestra and Neos Dance Theatre for entertainment that will feed your soul. Or enjoy current movies, classics, IMAX shows and live streamed operatic performances at our Cinemark 14 Movie Theater. Give the gift of “experiences” this Christmas with memberships and passes to some of our local attractions. Beat the winter blues with day passes and special overnight packages at Splash HarborIndoor Water Park. Get a membership to Kingwood Center Gardens for free parking, discounts and advanced notice about special events. Treat your kids to a year of exploration and learning fun with a family membership to Little Buckeye Children’s Museum. Need a group gift? Book a zip line tour for this summer with Tree Frog Canopy Tours, special group rates apply. Know a car or race fan? Buy them season passes so they can be trackside for every heart-pounding moment at Mansfield Motor Speedway or Mid-Ohio Sports Car Course. Or buy tickets to that one special race. Individual tickets are on sale now. Gift certificates for the Mid-Ohio driving school are 15% off, great for teen and adult driving classes! Know someone who watches The Shawshank Redemption every year? Can they quote entire scenes? Help them plan their trip along the Shawshank Trail. Start with tour passes to the Ohio State Reformatory. Find souvenirs in the gift shop or online. Do they enjoy the ghost stories and real-life haunts? Get them booked for the next ghost walk or professional ghost hunts offered at OSR and the Bissman Building and others at www.hauntedmansfield.com. You can get anyone gift cards, but why not pick up some fresh blueberry donuts at the Blueberry Patch or a gallon of homemade cider from Apple Hill Orchard? Both are sure to impress any holiday guests. Give the many gifts that can be found on The Wine & Ale Trail. Find souvenirs, samples or gift cards to experience local favorites, freshly made food and live entertainment. Buy growlers of home-brewed beer at Phoenix Brewing Co or cask ales from Laxton Hollow Brewing Works. Grab-A-Cask of Lord Badger Bitter starting December 7 to take home with you! Enjoy a variety of wines from The Happy Grape, The Vault and Wishmaker House Wine Bars. Take home their Holiday Cranberry Wine from 1285 Winery at the Blueberry Patch or specialty wine and olive oil from Cypress Hill. Pick up bottles of wine at any of the locations for your holiday party. Treat your special someone or another couple with a weekend away. Our Mansfield area Bed & Breakfasts are quiet and out of the way places, perfect for a mini vacation and still within driving distance of interesting attractions and restaurants. All excellent choices, with friendly service and affordable prices: AngelWoods Hideaway, Bluebird Cottage, Luftberg Farm, Safe House, Somewhere in Time, The Inn on Smith’s Hill, The Old Summer House and Wishmaker House. Or take a group vacation at your home away from home, Valleyview Country Getaway. Visit our local book store, Main Street Books, for great titles from local authors. 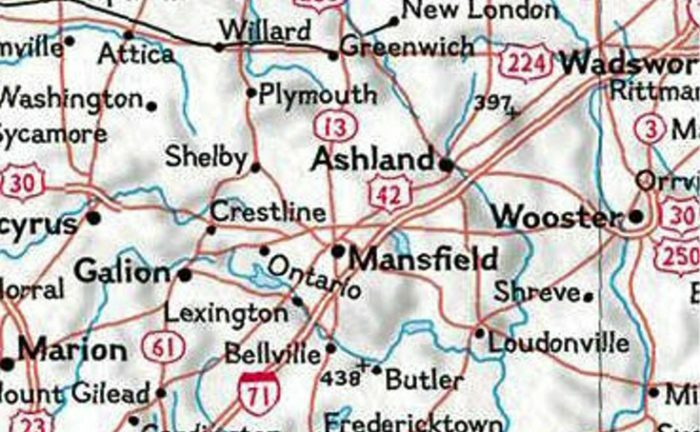 Learn about Mansfield area history in Native Son by Timothy Brian McKee, or true crime novel Mansfield Killings by Scott Fields. Try the young adult novel Love and Other Alien Experiences by Kerry Winfrey for the teenagers on your list. Or head to The Mansfield Art Center for their Holiday Fair, running every day through December 30th. Bring home local artists’ work, jewelry, pottery, paintings, homemade jams and spreads, ornaments and home décor.